Bridget Belgrave began leading trainings as a CNVC Certified Trainer in 1996. She gradually made NVC her full time work and was one of the pioneers who brought NVC to the United Kingdom and to India. To support her own trainings Bridget created many innovative NVC learning tools, such as ‘A Key to NVC,’ that are now used worldwide. She also co-created, with Gina Lawrie, the popular "NVC Dance Floors" - a method for learning, practising and teaching NVC that has been translated into many languages. 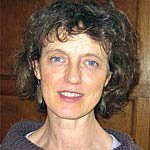 Currently, Bridget facilitates NVC learning for individuals and groups, and supports trainers using the “NVC Dance Floors.” She is the author of a children's novel 'ZAK,' which integrates NVC values in a highly engaging story. She is based in Oxford, United Kingdom.